Review, photographs and video of the Lisa Bauer Quartet ALBUM LAUNCH 13 January 2010 at the SABC Auditorium by Dex Goodman (www.whatsonsa.co.za): http://whatsonsa.co.za/news/index.php/emags/jazz-emag/item/50-lisa-bauer-quartet-finding-a-new-way.html. Cape Argus TONIGHT: Gig of the week: http://tonight.co.za/general/print_article.php?fArticleId=5305635&fSectionId=365&fSetId=251 by Atiyyah Khan. 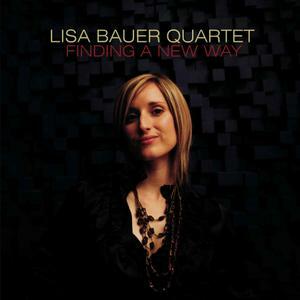 Lisa Bauer Quartet FINDING A NEW WAY digital download now available on CDBaby http://www.cdbaby.com/cd/lisabauerquartet and iTunes!